We’d love your help. 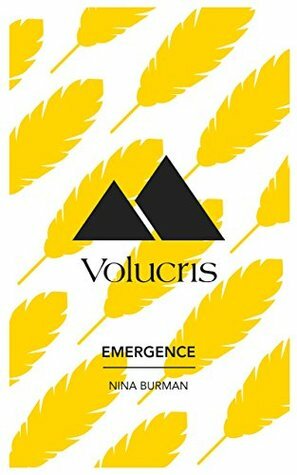 Let us know what’s wrong with this preview of Volucris by Nina Burman. In a dying world the human population is struggling to survive, a once happy teenage girl's life is shaken to its core by the appearance of her long lost father but he is nothing she had expected or even seen before. Set a short while in to the future we follow Moria and her new found friends and family on a journey that holds promise and disaster in equal measure. We watc In a dying world the human population is struggling to survive, a once happy teenage girl's life is shaken to its core by the appearance of her long lost father but he is nothing she had expected or even seen before. To ask other readers questions about Volucris, please sign up. In a world ravaged by a mysterious virus, privileged Mo discovers her true heritage as a Volucris, winged beings closer to birds than humans. She must leave her beloved grandmother and travel to the island of Ety, where she finds love and danger in Volucris society. A well- thought out, nuanced post-apocalyptic YA with a likable heroine and an adorable love interest. Nina Burman has put a lot of thought into her world, and it shows, in the ravaged countryside of the southern US States and the st In a world ravaged by a mysterious virus, privileged Mo discovers her true heritage as a Volucris, winged beings closer to birds than humans. She must leave her beloved grandmother and travel to the island of Ety, where she finds love and danger in Volucris society. I really liked this story! The author has created a wonderful world with very relatable and good characters. There were action and surprises, emotions and tragedies. Can't wait to read the next one!